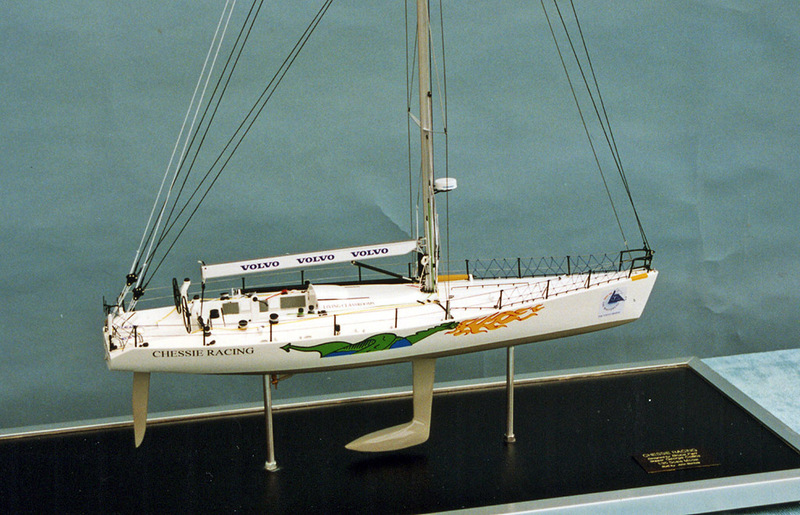 A detailed 1:20 scale model of the Whitbread Round The World Race yacht ‘Maiden’ designed by Bruce Farr and modelled by J.Bertola. Now on display at the National Maritime Museum London. 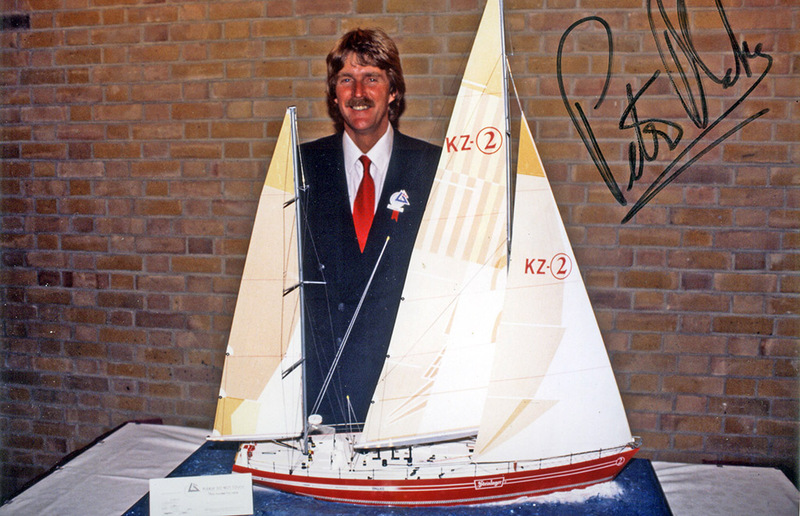 The late Sir Peter Blake, skipper of Steinlager 2 with the 1.30 scale model built for the Whitbread Round the World Race, prize-giving reception held at the Brewery London on Wednesday 20th June 1990. 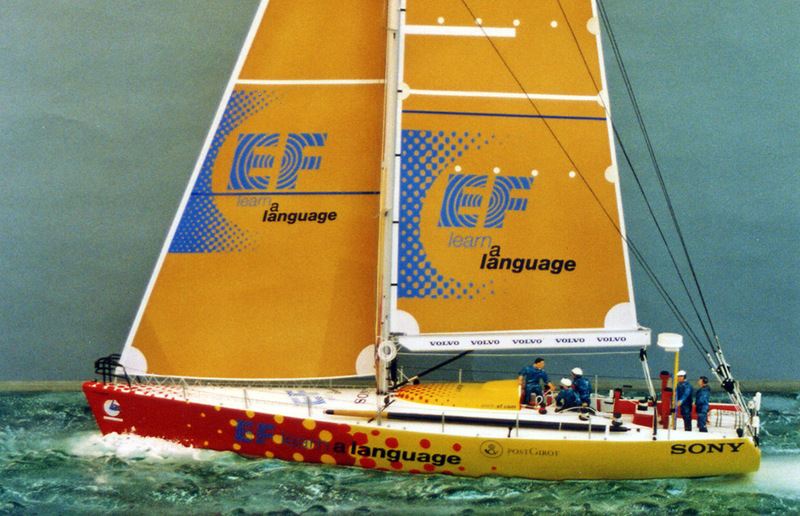 EF Language, winner of the Whitbread Round the World Race 1997-1998. 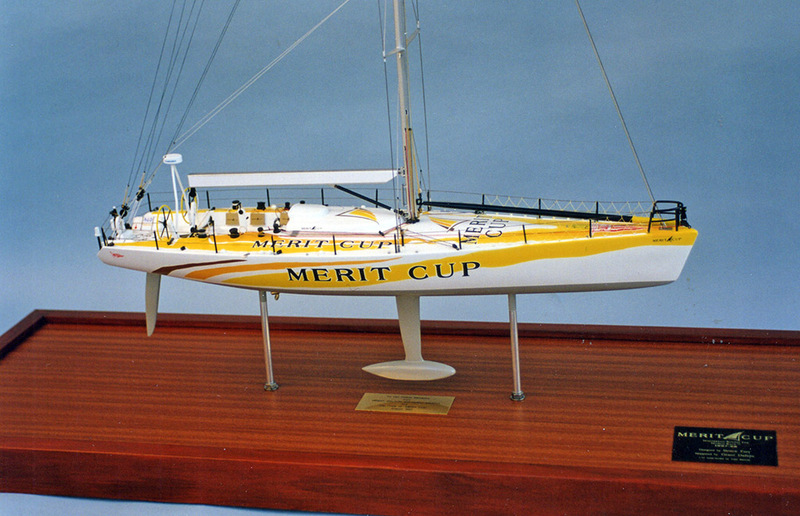 Merit Cup entry for Whitbread Round the World Race 1997-1998. Now on display in the Monte Carlo Yacht Club. 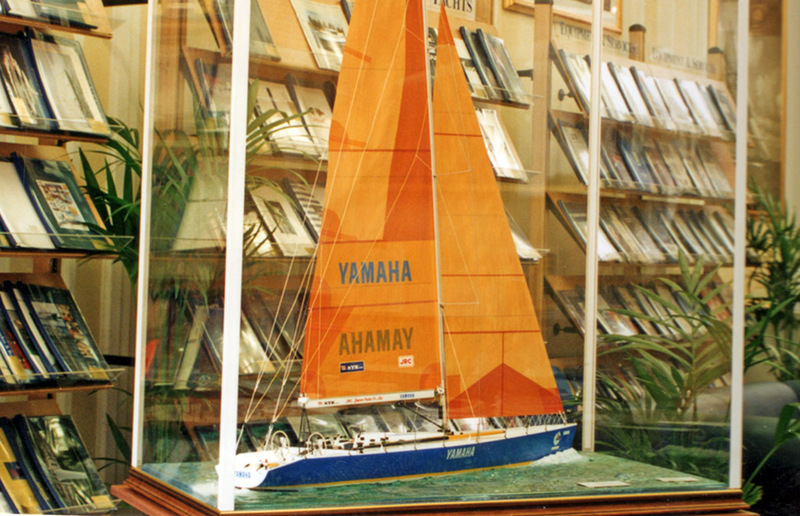 A fine 1:20 scale waterline model of the Racing Sailing yacht ‘Yamaha’. 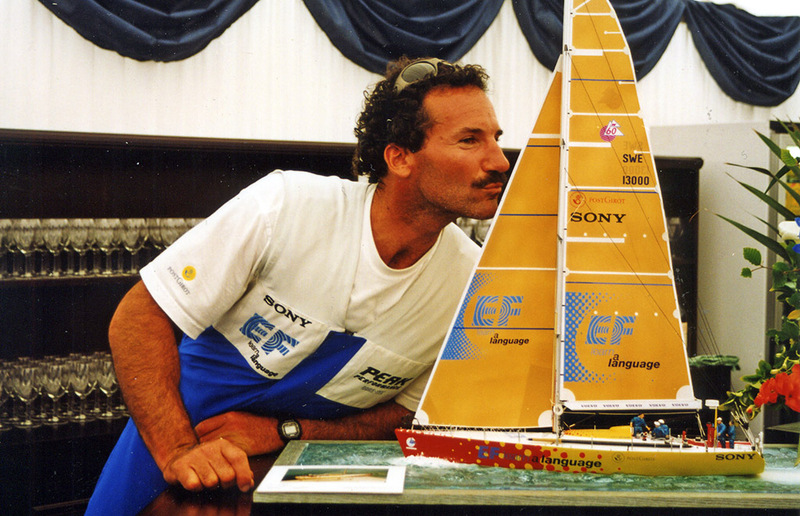 Winner of the 1993/1994 Whitbread 60’s. 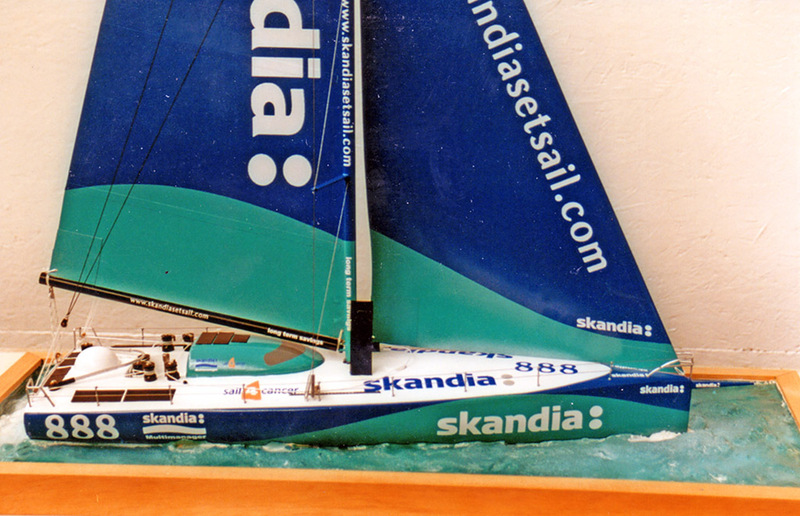 Whitbread Chesapeake inc entry in 1997-1998 race. 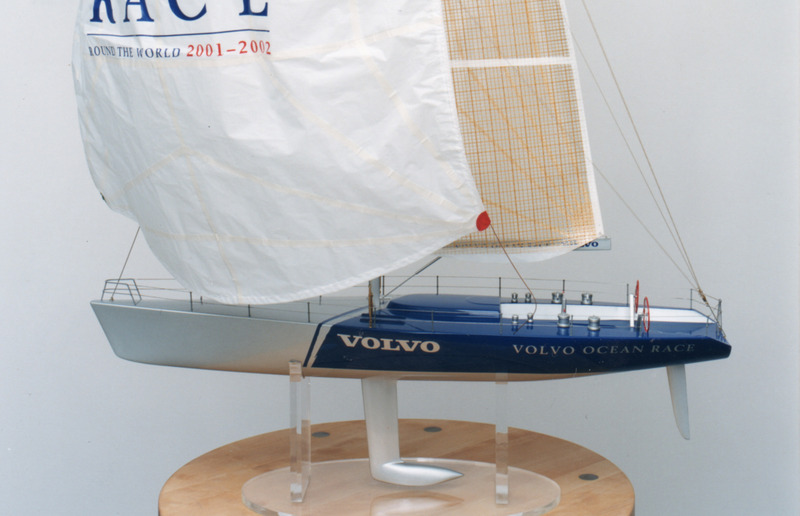 1.35 scale model of Volvo built as a prototype for the Volvo Ocean Race. Volvo open 60 entry in the Volvo Ocean Race. 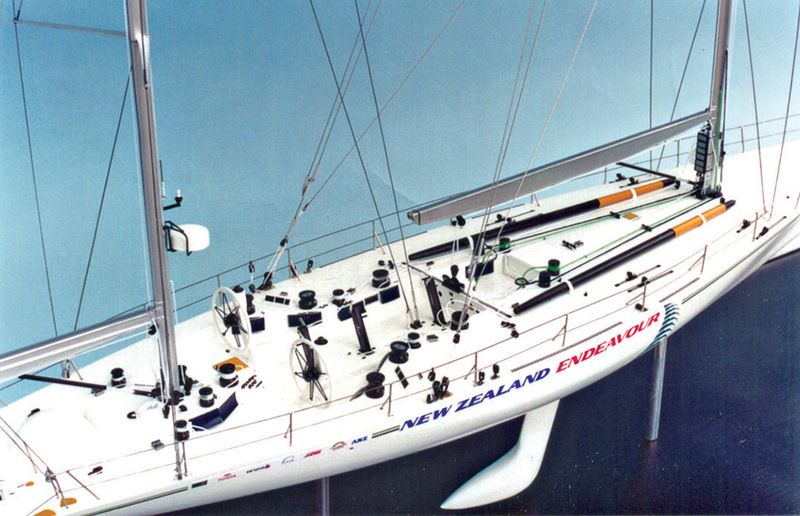 The photograph shows a 1.35 scale model of New Zealand Endeavour; Overall winner of the 1993/1994 Whitbread Race. 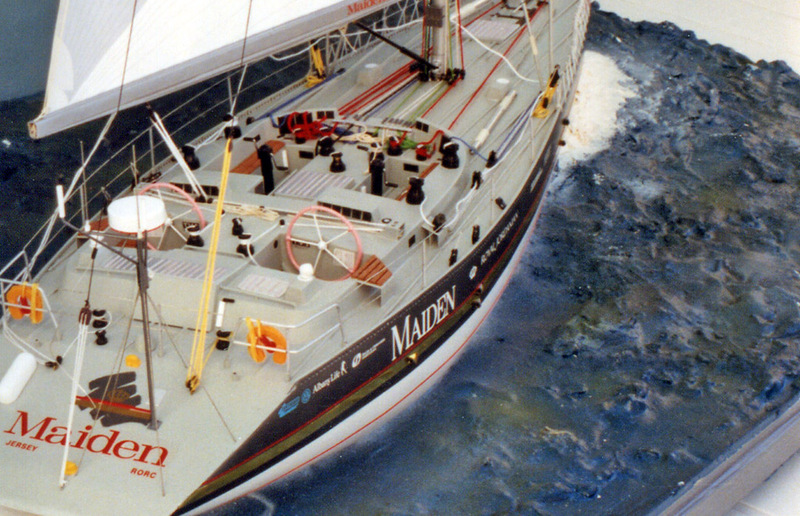 Now on display in the Maritime Museum, Auckland.